Isla Rosa is a pink limestone from the West Coast of Scotland. The ‘Stone of Prosperity’, teaches the benefits of having a positive mind and a grateful attitude. Isla Rosa raises the beings energy whilst encouraging feelings of motivation. It is a stone that dispels negativity, whether in thought or by trait. Isla Rosa helps the being to recognise gratitude, and how it can be used to bring more light into life. 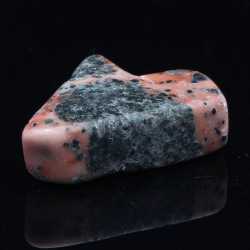 Also, this stone helps to increase courage when it comes to making life changes, as well as helping the mind to manage perseverance. Isla Rosa can be called upon for guidance in decisions and deals, especially when it comes to business and money exchange.